MQFF has proudly supported and fostered local queer filmmaking talent through its various awards and prizes over its 29 years. 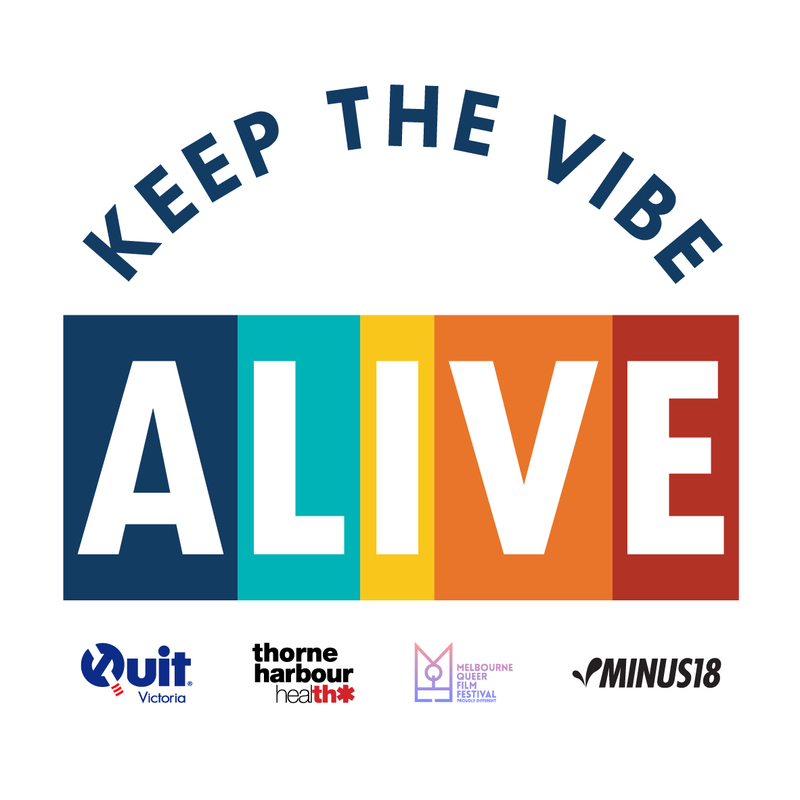 In 2019, we had the pleasure of partnering with Quit Victoria, Thorne Harbour Health and Minus18, to bring you…the Keep the Vibe Alive short film competition – an incredible opportunity to demonstrate how smoking can often ‘kill the vibe’ in LGBTIQ+ communities. Screenwriter Benjamin Law and a panel of judges from Quit Victoria chose four competition finalists from over 40 pitches. Each finalist received a $4,000 grant each to create their films. Voting closed on Tuesday, 5 February at 10:00am (AEDT). The winning short films were announced at MQFF’s Program Launch on Tuesday, 12 February 2019. Congratulations to Millie Hayes and Sam McGowan, who won the inaugural Keep the Vibe Alive competition, each receiving $4,000 thanks to Quit Victoria. Third Wheel and Fuming will each air before every screening at MQFF 2019.